Bill Walsh College Football (Sega Genesis, 1993) Game Cartidge Only!!! 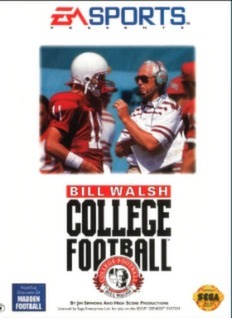 SEGA GENESIS BILL WALSH COLLEGE FOOTBALL! HUGE BLOWOUT SALE ON ALL OF OUR ITEMS!